NEW YORK – An analysis of robotic surgery case data from 2009 to 2014 on 63,725 patients found that the emergent surgery is reaching largely wealthy, white males, but in more areas of medicine. According to the study, minorities, women and those with lower incomes are left with fewer surgical options. The study will be featured at the MIS Week 2016 (SLS) annual meeting. According to the authors at Mount Sinai Beth Israel Hospital, patients receiving robotic surgery care were found to be more likely young, male, white, and from a more affluent area than patients receiving non-robotic care. Surgeons involved in robotic surgery cases were more likely to be younger, male, and a non-foreign medical graduate, as compared to surgeons involved in non-robotic laparoscopic cases. The study surveys the evolving changes in inpatient medicine and across multiple specialties as it adapts to robotic technology. The first such study to assess changes in robotic assisted laparoscopic surgical cases over time and provide comparative analysis of both patients and surgeons involved in these procedures, across several specialties, it found that the quantity of the cases for each category rose during the period of 2009-2014, however, the rise was asymmetric across categories. The proportion of all robotic surgery cases decreased for urologists and gynecologists, while increasing for all other specialists, including orthopedic surgeons, otolaryngologists, cardio-thoracic surgeons and general surgeons. In procedures that serve males and females, males were more likely to receive robotic surgery care than females. According to the authors, this trend and the other trends mentioned suggest that the benefits of robotics for both the surgeon and patient have not been distributed equally. Of the 63,725 robot cases analyzed, 29,464 (46.2%) were performed by a urologist, 617 (1.0%) by a otolaryngologist, 7,207 (11.3%) by a general surgeon, 4,217 (6.7%) by a cardio-thoracic surgeon, 17,739 (27.8%) by a gynecologist, 2,215 (3.5%) by an orthopedic surgeon, and 2,243 (3.5%) were uncategorized. The number of RALS cases handled by cardio-thoracic- trained surgeons per year rose from 197 (3.1% of all cases) to 1,159 (8.7%), general-trained surgeons from 198 (3.2%) to 2,559 (19.1%), orthopedic-trained surgeons from 55 (0.8%) to 985 (7.4%), otolaryngology-trained surgeons from 21 (0.3%) to 155 (1. 2%), urology-trained surgeons from 4,063 (64.8%) to 5,226 (39.1%), and gynecology-trained surgeons from 1,560 (24.9%) to 2,744 (20.5%). Linear regression of the number of cases by year for each specialty yields the following: for cardio-thoracic, 211 cases/year (180 to 243), for general, 491 (389 to 592), for gynecology, 294 (-88 to 675), for orthopedic, 176 (107 to 246), for otolaryngology, 26 (16 to 36), and for urology 186 (-12 to 385). While there was a significant increase in the number of RALS cases for orthopedic surgeons, otolaryngologists, cardio-thoracic surgeons and general surgeons. This increase is not seen for urologists and gynecologists. Looking at the highlighted procedures, we see that the proportion that are handed through RALS has increased universally. A number of less invasive alternatives have diffused into practice over the past decade for treatment. A declining reimbursement may be discouraging more invasive procedures, with their higher likelihood for complications, and encouraging non-invasive treatment. As stated previously, this study found that surgeons involved in RALS cases were more likely to be younger, male, and a non-FMG than surgeons who were involved in the non-RALS alternatives. Gender divides are well attested to in literature, with disparate treatment and varying priorities often cited as a root cause. Another reason may stem from the varying hospital accreditation practices for attainting RALS privileges or from gatekeepers of RALS training. This sort of gatekeeping can result in biased selection. These same factors may create the observed divide for FMGs as well. 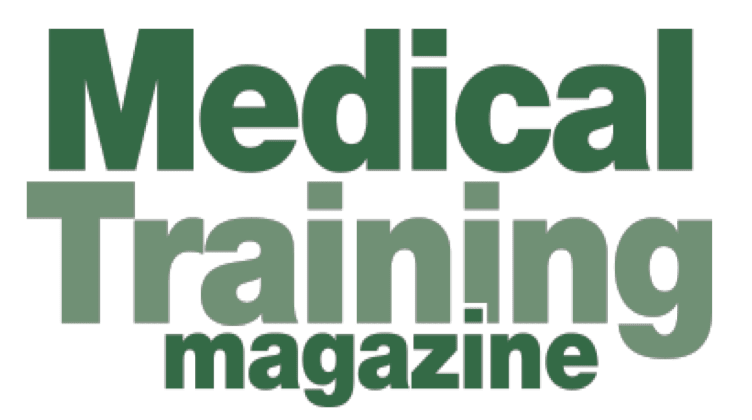 For age, the explaining factor may be greater access to RALS during training or higher willingness to take on the training after residency in order to attain RALS privileges. Also of note, there are exceptions to the generalization. Another exception was found in CAB where there was no difference in age between the RALS and non-RALS surgeons as well as higher likelihood for FMGs to be using RALS procedures. Previous studies have seen similar socioeconomic divisions in the dispensation of other care widely regarded as superior, such as higher odds for utilization of radical prostatectomy as opposed to nephron-sparing PN as linked to lower socioeconomic status. The main limitation of this study is that the SPARCS dataset only collects information from and was confined to New York State. New York, however, is the 3 rd largest state in terms of population and contains both urban and rural environments, a diversity of socioeconomic and ethnic backgrounds, and diversity of hospital types.